Diabetes mellitus is a group of diseases that causes a person to have high levels of sugar (glucose) in the blood or hyperglycemia. Type 2 diabetes is the most common form. 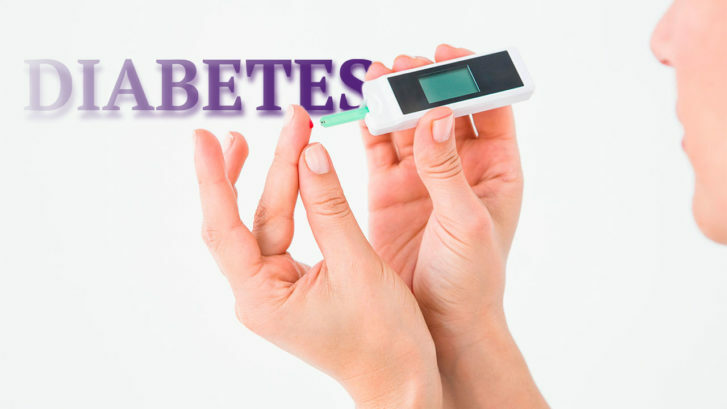 Type 2 diabetes is a chronic disease that affects how you metabolize glucose. Your pancreas makes insulin, a hormone that moves glucose into your cells to be used as energy. Insulin lowers the amount of sugar in your blood stream. As your blood sugar lowers the pancreas slows its production and release of insulin. Patients with type 2 diabetes initially have insulin resistance meaning your body resists the effects of insulin. In response, your pancreas produces more insulin to try to get the sugar into the cells. Eventually the pancreas cannot keep up and the glucose builds up in the blood. The beta cells in the pancreas are responsible for producing insulin. They work harder and harder to produce enough insulin to move the sugar into the cells but eventually the beta cells begin to break down, sending the wrong amount of insulin at the wrong time. Overtime your beta cells may wear out completely and are no longer able to produce any insulin. Glucose or sugar is the main source of energy for your cells. Glucose comes from food and is also produced in your liver. Your liver stores and produces glucose. When your body needs more sugar, it signals the liver to produce and send out more glucose keeping your blood sugar within a normal range. After you eat, the sugar from the food is used and the liver slows down the production of sugar and stores any excess sugar from the food you ate. This system can malfunction in patients with type 2 diabetes and the liver will continue to send sugar into the blood stream. Too much sugar in the blood is called hyperglycemia. Many patients with type 2 diabetes will also have metabolic syndrome. A medical term used to describe a group of conditions including; hyperglycemia, high blood pressure, high cholesterol and high triglycerides. Type 2 diabetes cannot be reversed with the current standard of care therapies. Can stem cell therapy improve symptoms of type 2 diabetes? What type of stem cells are used? The Stem Cells Transplant Institute uses autologous mesenchymal stem cells for the treatment of type 2 diabetes. Autologous means the stem cells are collected from the recipient so the risk of rejection is virtually eliminated. Mesenchymal stem cells are one type of adult stem cells that are found in a variety of tissues including; adipose tissue, lung, bone marrow, and blood. Mesenchymal stem cells have several advantages over other types of stem cells; ability to migrate to sites of tissue injury, strong immunosuppressive effect, and better safety after infusion.2,3 Mesenchymal stem cells are a promising treatment for diabetes mellitus. Treatment at the Stem Cells Transplant Institute may improve the symptoms and long-term complications of type 2 diabetes. A team of stem cell experts developed an FDA approved method and protocol for harvesting and isolating adipose derived stem cells for autologous reimplantation. The collection and use of adult stem cells does not require the destruction of embryos and for this reason, more U.S. federal funding is being spent on stem cell research. How are the stem cells administered? The stem cells are administered intravenously. Costa Rica has one of the best healthcare systems in world and is ranked among the highest for medical tourism. Using the most advanced technologies, the team of experts at The Stem Cells Transplant Institute believes in the potential of stem cell therapy for the treatment of diabetes. We are committed to providing personalized service and the highest quality of care to every patient.